The Family Table with Genevieve: Let's Talk Apples! Let me start by saying Summer is by far my MOST favorite time of year. I love the longer days, the warm Summer air, and the carefree feeling of no schedule. But when September rolls around, I do get excited for all things Fall. The kids are ready for some structure again and I am ready to start cooking some fall dishes! Pumpkin always seems to be the star of the fall season. I mean you can get everything pumpkin.....coffee, soap, cereal, waffles, butter.....it's crazy! I do love pumpkin, but for today let's talk apples! 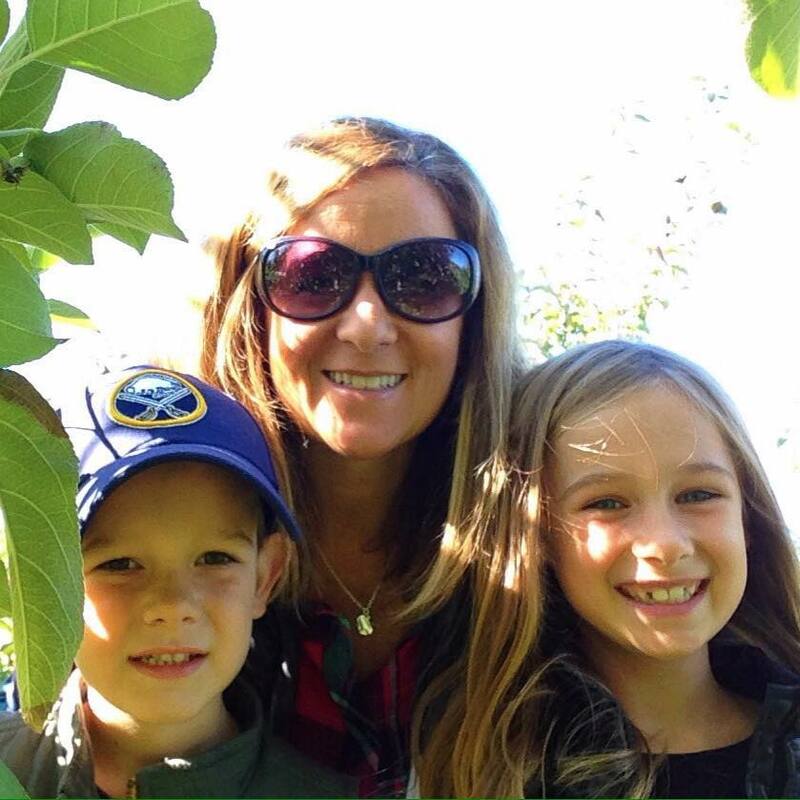 One of my favorite things to do with the kids is to go apple picking. Here's a selfie of us in the Apple Orchard! 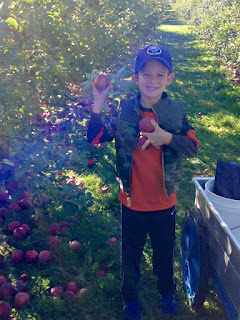 It is so fun to get out on a crisp fall day and pick all you can. Apples are really versatile.... you can make and freeze applesauce and apple desserts, they make a great snack and are a nice compliment to pork dishes. I'll share some of my favorite apple recipes in my next post. Now back to apple picking. Be sure to take a look at what apples are available. Most orchards have a map to point you in the right direction. Think about what you want to make with the apples and which varieties work best in those dishes. If your kiddos are anything like mine, they will be picking machines! You don't want those to go to waste, so have a plan of what you can make with each variety. Here are a few pics of E & L out in the field. 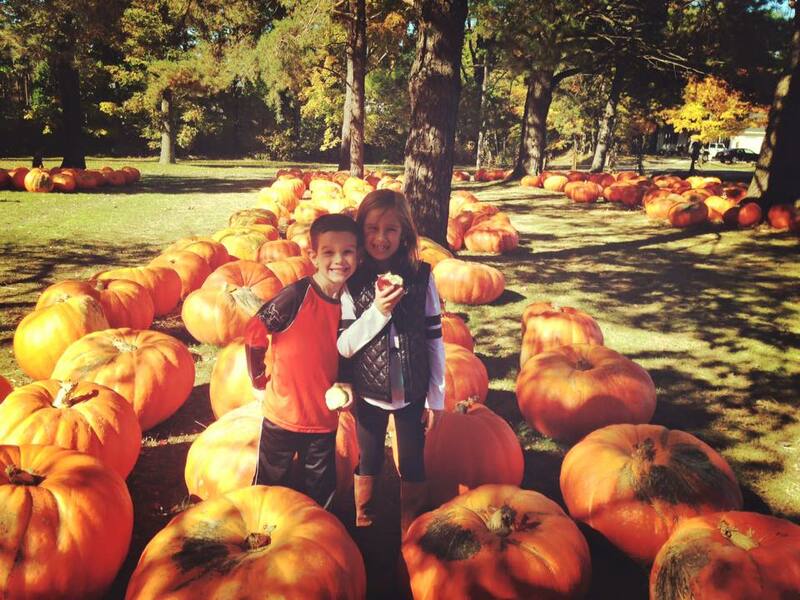 After we were done picking, we drove by an adorable pumpkin patch and had to stop! It's such a cool little spot where they showcase HUGE pumpkins! 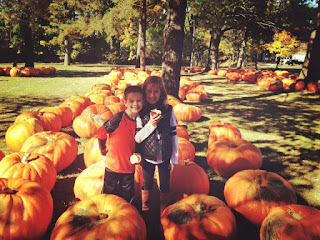 We picked up a few pumpkins and cornstalks, while we snacked on our apples! If you are local to the Buffalo area check out StoneHill Orchard. That's where we go to pick and right down the road are the big pumpkins at Awald Farms . Get out and find a spot to pick! Its so much fun and will give you some great healthy snacks and lots of other yumminess. 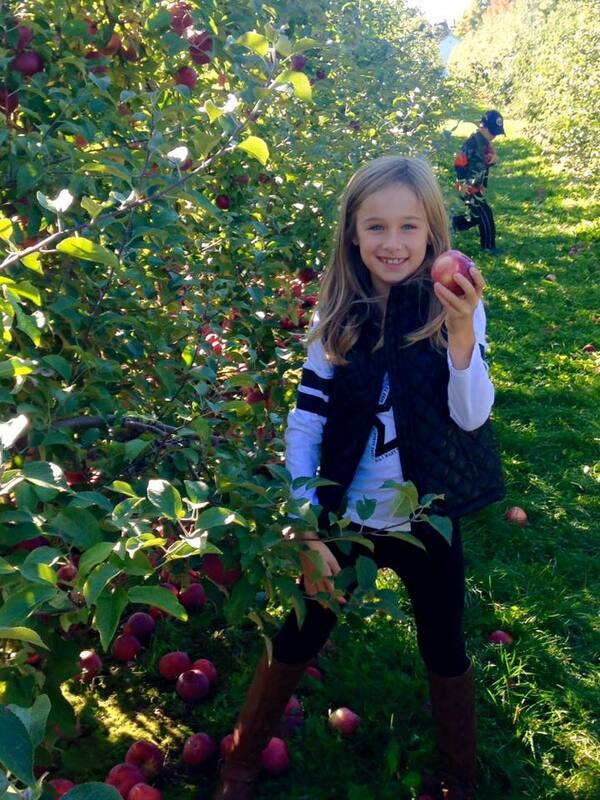 And you can't beat the backdrop of the apple orchard for some cute fall pics! Can't wait to share some of my apple recipes with you! Join me this week as I share them....there's always room for one more at our Family Table!